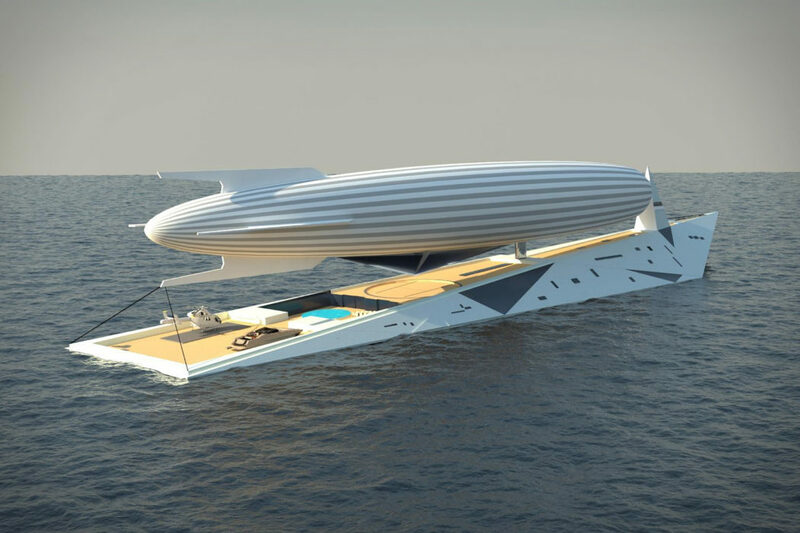 Superyachts are one of the most effective ways of letting the world know that you’re loaded. But what if you want the world to know that you’re really, really loaded? 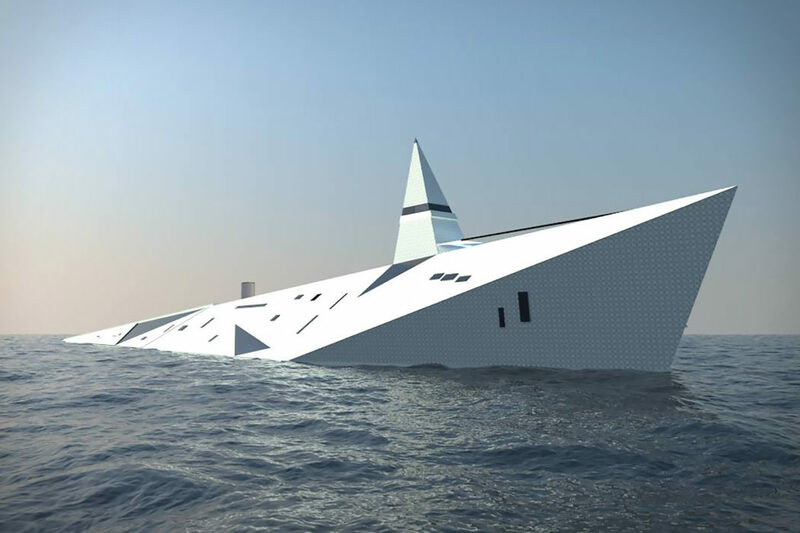 Well, you could do like most oligarchs and order a really, really big yacht…or you could get in touch with artist George Lucian and search for a shipyard that’s willing to make his Dare to Dream Concept a reality. As you can see from the illustrations, it’s a long (459.3 feet!) 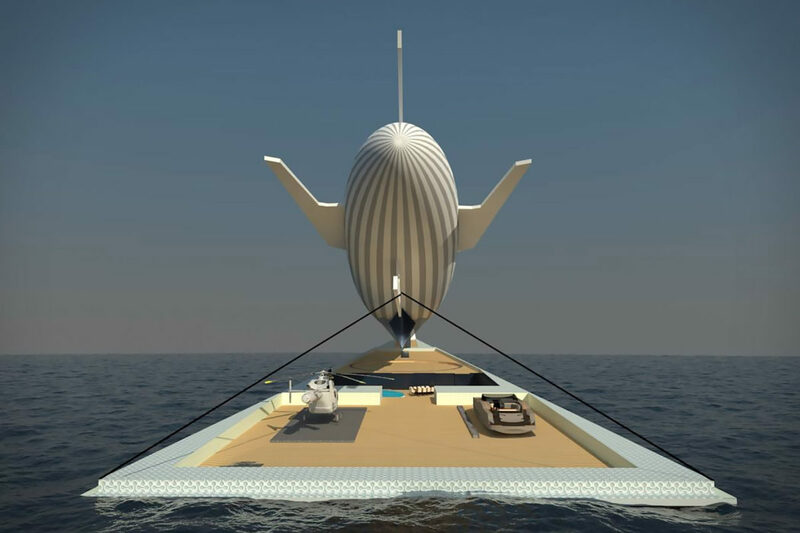 and angular boat whose distinctive shape is designed for mooring a 328′ long blimp called the flying diamond. 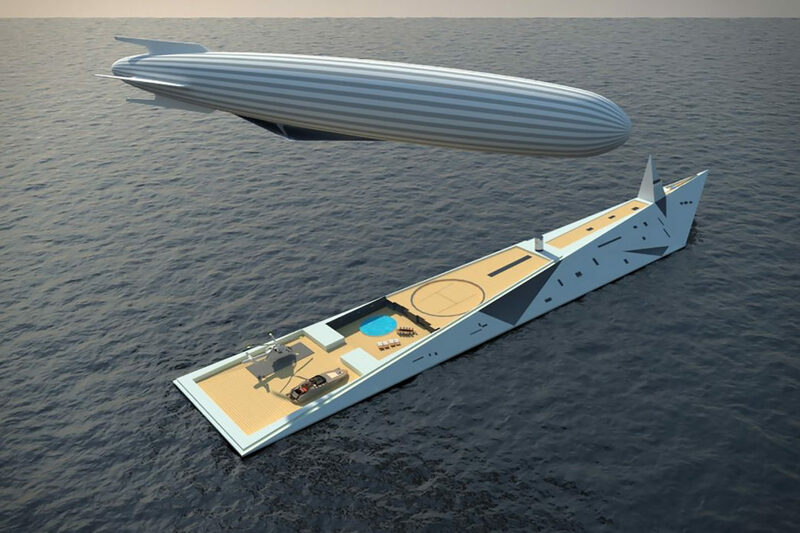 Yes, children, apparently modern yacht tenders have gotten so big and fancy that the only way to top them is to replace them with dirigibles. That being said, full credit to Mr. Lucian for thinking outside the boat-shaped-box with this unorthodox solution for shuttling people and supplies to and from shore. So…any multi-billionaires want to help bring this dream into the real world?